A choice of 30 fantastic Remo painted matt colours from alabaster through to graphite and charcoal. These colours are look superb on the wide range of kitchen units and doors. It has a very modern look and presents a clean and smooth uncluttered finish. 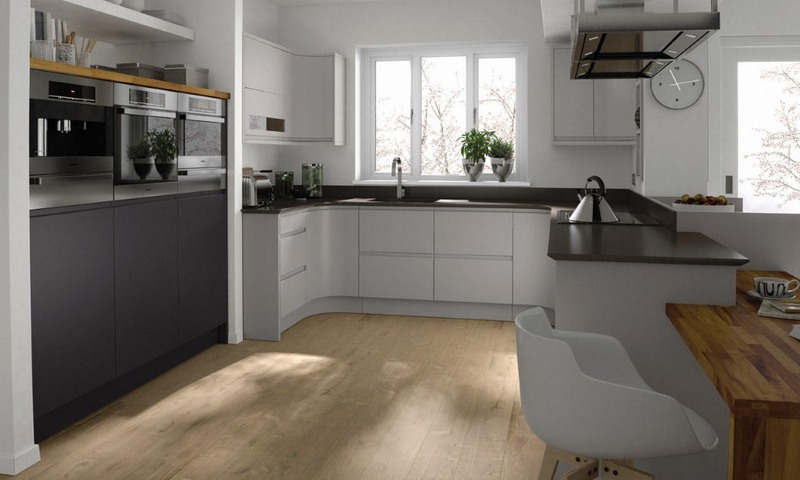 The Remo kitchen range a very popular choice for those wanting an on trend appearance. The painted matt finishes are split between in stock and paint to order. The paint to order have a slightly longer lead time. To see all the in stock painted colours together with a white finish please click here.